(W) Richard Pini, Wendy Pini (A/CA) Wendy Pini. 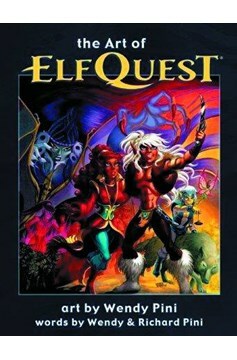 Since its first appearance in 1978, Elfquest has touched the spirit of multiple generations thanks to the strength of Wendy Pini's captivating storytelling and dynamic art. Nearly every piece of Pinis original art, sketches, notes and scraps of paper dating back to the conception of her fantasy comic series has been meticulously catalogued and preserved by the artist and her husband-collaborator, Richard. 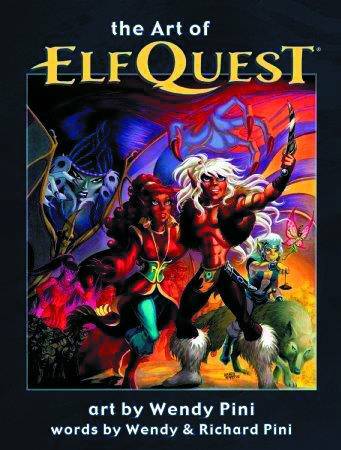 After years of research and with unparalleled access to those files, we present The Art of Elfquest, which represents a complete overview of the very best artwork spanning nearly forty years. Each piece has been meticulously scanned directly from the original artwork and approved by the Pinis. No other collection has featured such a tremendous amount of material being revealed for the first time..